Fantastic home in Eagle Glen swim/tennis neighborhood. Woodstock High district. Corner home site, 3 car side entry garage. 1-year-old roof! Hardwood flooring in Entry, Hall, Kitchen and Breakfast area. Upgraded Kitchen with granite counters and tile backsplash. Finished lower level with many options, teen suite, in law or just fun space. Full bath and living/recreation or media room and bedroom. Screened porch overlooking the level, fenced backyard. 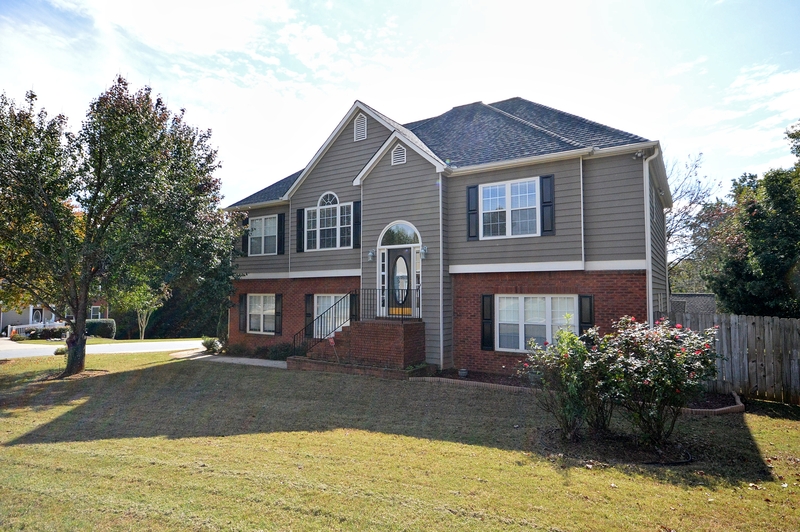 great location, convenient to all amenities of Towne Lake, Lake Allatoona, Downtown Woodstock, and area recreation.